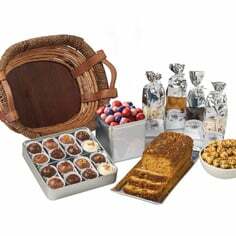 Our moist, chewy and delicious goodies are ideal for giving, serving, or afternoon tea. 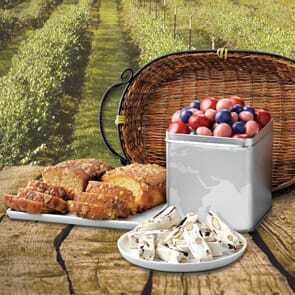 All comes packed in a lovely wire-handled basket that can be used again and again for serving cakes, crackers, or your favorite Meduri dried fruits. -Blueberry Almond Nougats, 5 pieces. 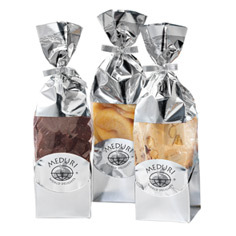 Be sure to take a moment to peruse all of the fine chocolate gift sets available from Meduri World Delights!